Is Deadlift Fat Loss for real? The answer is yes. Usually, people think that the deadlift is only for powerlifters, bodybuilders or muscle building fanatics. Not that there's anything wrong with that. But the truth is that the deadlift is fantastic for regular folks like us to shred fat fast. And you do not have to use heavy weight or even a personal trainer to get results. There are many spectacular deadlift benefits, but deadlift fat loss is one of the more hidden benefits of the deadlift. When I was hovering at 275 pounds, I never dreamed that I would deadlift. In fact, I didn't even know what the deadlift was. I knew about the free weight area of the gym, but steered clear of it and instead worked out on the machines. I was desperate to lose weight, take off the pounds, and I had tried everything that I could think of. Chief among those strategies to lose weight was starvation, not eating. That never works out well, because by the time evening rolls around, you might find yourself so famished that you pack in way too many calories for the day. If you are struggling with losing weight, you know the vicious circle. You cannot begin a beginner deadlift program for fitness or powerlifting if you are currently too big or too large. However, I am going to walk you through the steps to take so you can get motivated to start deadlifting. You will transform your body to the point that even you will not believe the amazing results. Or, you might have to lose 10 or 20 pounds. Whatever the amount of pounds that you need to lose, the simple steps for fat loss are what I call Hashi Mashi 123. Here is the simple secret how to lose enough weight that you will be able to start to deadlift and reclaim your health and fitness. First off, stop eating processed foods. You must stop eating processed foods. Two, start eating more vegetables with your meals. 1 – target a loss of one pound of fat per week. 2 – have two snacks per day composed of two major food types, specifically a fruit and a protein like yogurt or nuts/nut butter. 3 – have three meals a day composed of three major food types, specifically a raw and/or cooked vegetable, a carb and a protein. Once you have lost enough weight that you can see your shoes again, I think you will be ready to start deadlifting. The deadlift will help put you into fat burning mode. The deadlift will help you to change your physique from jello (flabby and out of shape and invisible to the world) to hello! (Fit and in shape and people acknowledge you and want to spend more time with you). The deadlift will help change your body and mind because you will gain more confidence as you get stronger. Why deadlift when you want to lose weight and get into shape? And why is the deadlift so effective for fat loss and changing your body shape? Because, the deadlift works more major muscle groups than most other strength training exercises. If you go to the gym and sit in a machine and do an arm curl, how many muscles do you think that you are working? You are just working your biceps while you sit comfortably in the bicep curl machine. So, if you do a thirty minute workout on that machine, or the biceps machine and the triceps push down machine, you have just worked your arms. Instead, if you spend thirty minutes doing a deadlift workout, you will be working hundreds of muscles. You will be strengthening the massive muscles of your legs, your back, your arms, literally from your feet to the nape of your neck. Wouldn't you rather spend thirty minutes in the gym and have a full body workout? This is why it is much more powerful to deadlift for fat loss than it is to do bicep curls for fat loss. Cardio alone will yes burn calories, but will not maintain your muscle mass. When you want to get lean, you must keep your muscle mass, and the best way of maintaining and building lean muscle is by weight training. One of the best, if not the best weight training exercise is the deadlift. Of course, the squat is not far behind, and some would say that the squat is the best weight training exercise for fat loss. The solution is to both squats and deadlifts for fat loss. In any case, the point here is that the deadlift is one of the most effective weight training exercises to build muscle. More muscle mass means more calories burned every day, even at rest. The estimates are that a pound of muscle can burn up to 50 to 100 calories a day, while a pound of fat requires your body to burn about a calorie a day to maintain itself. Clearly, you want more muscle and through the deadlift, you can build more muscle all over your body. The deadlift can burn plenty of calories. In a study of exercise and calorie expenditure, the amount of calories burned by a 200 pound man deadlifting can reach 300 in only 30 minutes. The same applies to other powerlifting exercises like the squat and the bench press. You do not need much more than 30 minutes to get the incredible benefits of deadlifts, squats or the bench press. You might think that the only way to create a calorie deficit is to run a few miles, not so, start deadlifting and watch your fat melt away. Source: Ainsworth BE, Haskell WL, Whitt MC, et al. Compendium of physical activities: an update of activity codes and MET intensities. Med. Sci. Sports Exerc., Vol. 32, No. 9, Suppl., pp. S498–S516, 2000. Over 12 weeks, the diet-only group lost 14.6 pounds of fat. The diet plus cardio group lost 15.6 pounds of fat. The weight training group lost 21.1 pounds of fat! If you really want to torch your fat, start powerlifting for fitness. Diet alone or diet plus cardio cannot match the effectiveness of weight training for fat loss. Change your body from flab to fab? Spend the minimum time necessary to achieve your body transformation? Improve your mental strength to cope with the crisis of divorce or any other loss/trauma? Find a total body high intensity exercise which builds muscle, raises your heart rate and shreds body fat at the same time? Squat for fat loss and mental strength. Do pushups for fat loss and mental strength. Last, but not least, deadlift for fat loss and mental strength. Do Not Miss This Great Deadlifting Video! 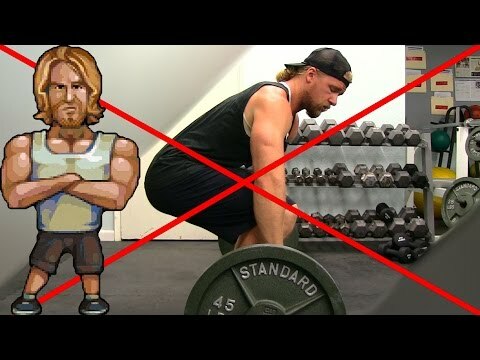 Watch this video from Buff Dudes that will help you prevent the most common deadlift mistakes. In addition, at the very end of the video is an excellent visual on how to perform the deadlift with proper form. 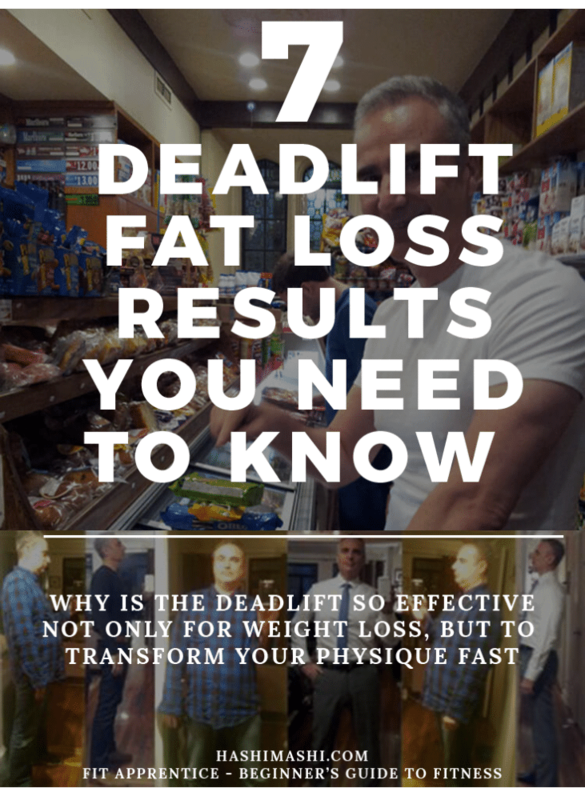 Please Share This Post On 7 Powerful Deadlift Fat Loss Results. Just Pin the Image Below, Thanks!